I can't believe it is almost Christmas! This year I had a relatively late holiday during September and when I came back there was no time to enjoy the Fall collections. On to golds and reds we shall go. Today I have two products to share with you from Guerlain's holiday collection, Un Soir a L'Opera, or in other words A Night At The Opera. The collection is inspired by Russian Ballet by all its glamour. The names of the products in this collection is making my music loving heart seriously skip some beats. I adore Russian orchestral works, especially of 20th century and seeing a gloss named after one of my all time favourite Stravinsky piece, Fire Bird, is almost too good to be true *hugs her gloss, kisses it*. This is my pieces of Stravinsky in my make-up collection. Remember that Coco Chanel was all over him? *cough cough*. Guerlain Gloss D'Enfer #901 L'Oiseau De Feu is a clear gloss with tiny golden pieces. Under light the shimmer particles have a multi colored shimmer, depending on how the light hits their surface. It is very pretty to look at. 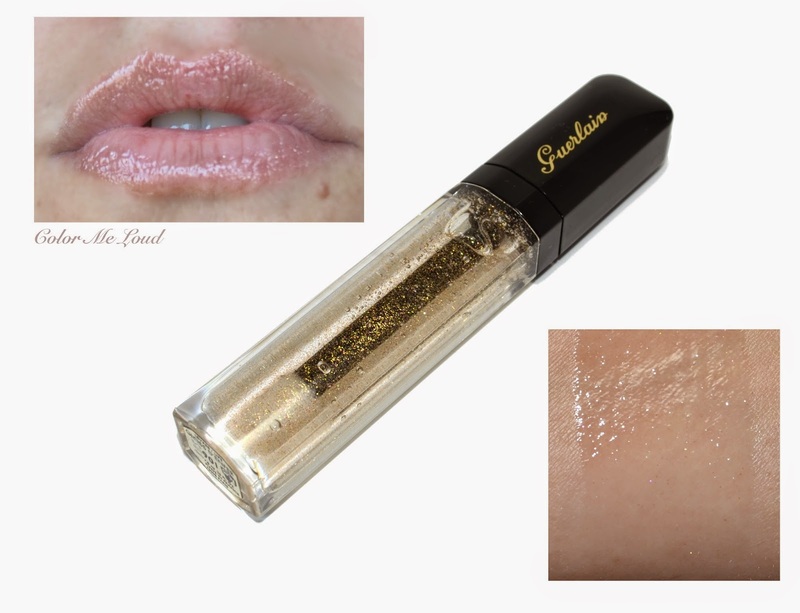 On the lips the particles are very subtle and the result is almost like a clear gloss with a touch of gold. It is surely a collectors item but if you like more effect, it may not be for you. It wear quiet long for as gloss, it is comfortable and not sticky. Here is a close up for you to see how complex the shimmer of Fire Bird is. There are pink, green, purple flashes of light. 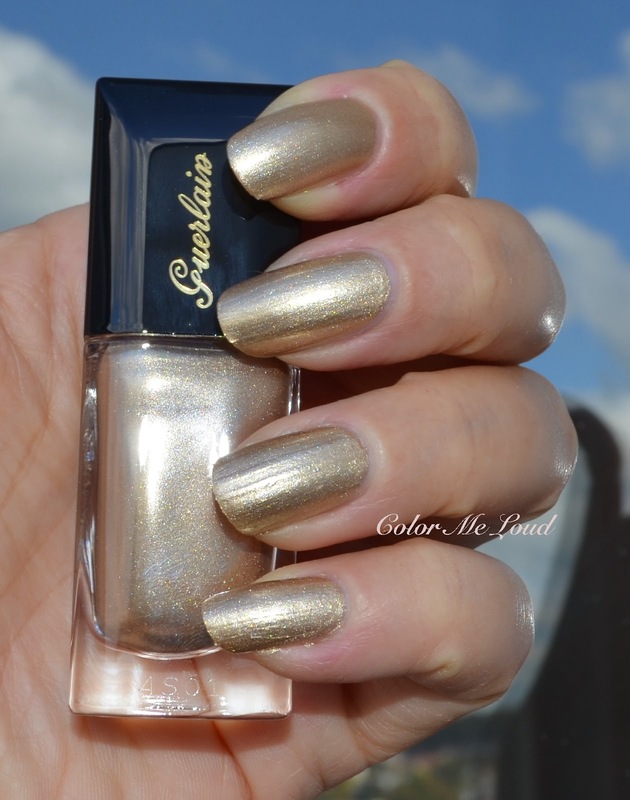 The next product I would like to show you today is Guerlain Colour Lacquer #400 in Coque D'Or. Coque D'Or means golden shell, it is the name of a vintage fragrance which was designed by Jacquer Guerlain himself in 1937 and was dedicated to his friend Sergei Diaghilev, the founder of Ballet de Russe. It is a word play on one of Rimsky-Korsakov's operas, called Le Coq D'Or (The Golden Cockerel). This vintage fragrance is adapted by Thierry Wasser. Don't rush to get yours just yet though, since there are only 29 of them and they cost 17 000 € for 190ml. Namesake, the nail polish is surely easier to get hold of though. 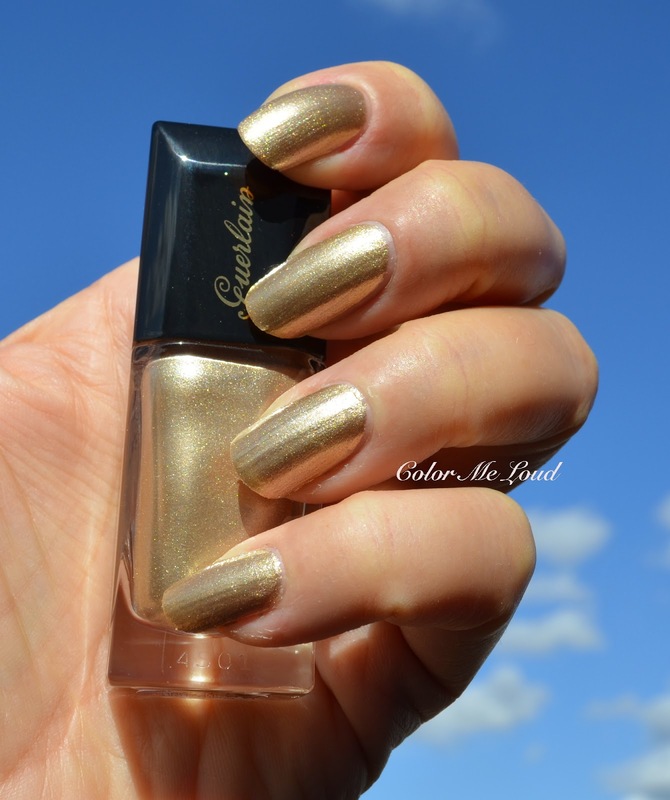 Guerlain Colour Lacquer #400 Coque D'Or is a lovely cool toned gold with foil finish. It has very complex shimmer under the sun light, it applies beautifully and lasts long on the nails. It doesn't show brush strokes and has full opacity in two coats. Coque D'Or is one of my favorites from Guerlain's holiday collection. I pulled out some shades to see how Coque D'Or compares to rest of the cool, silvery golds I have in my stash. I love foil finish and appreciate cooler toned golds. OPI Love.Angel.Music.Baby has a matte finish and it is warmer. Tom Ford Silver Smoke (discontinued) leans more rose. Chanel Diwali is a tad lighter but very close. Butter London Full Monty is warmer. Final thoughts: I am very pleased to see my favorite composer's pieces as inspiration to Guerlain's holiday look. Guerlain's Nail Polish #400 in Coque D'Or is my nail polish pick for this holiday season in terms of its shade, finish and quality. There is gold everywhere but it is always hard to find a flattering one. Guerlain Gloss D'Enfer #901 L'Oiseau De Feu is very pretty in the bottle. 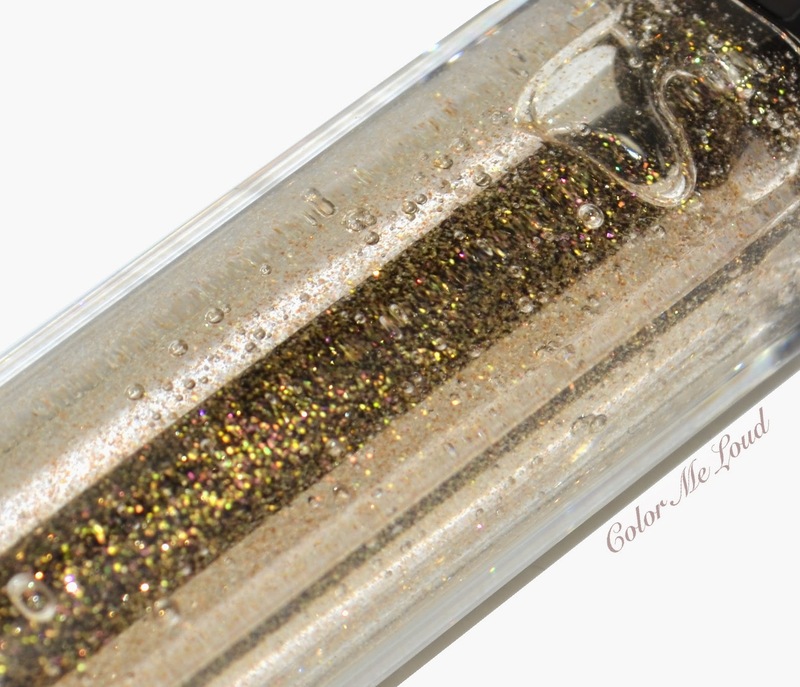 Be sure to get one if you like clear glosses, if you are a collector of pretty makeup or if you are a Stravinsky fan. Both of these items are limited edition. Availability: Guerlain Holiday started to arrive at the counters around the globe. A few stores in Germany already have the full collection. What kind of a gold nail polish do you find to be flattering on you? Yes, these look great on those undertones!!! Enjoy! I'm so glad to see the nail polish has minimal brush strokes and great pigmentation! Definitely on my "to swatch" list now! I am sure you will love it even more if you check it out in person. I can't agree more, this is why it is one of the brands I collect, I have them all and loving them to bits! 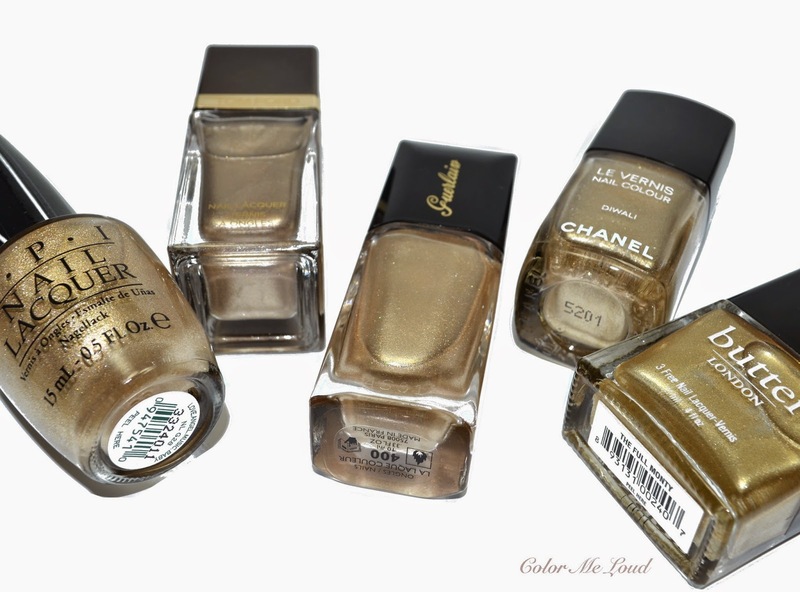 I'm a huge fan of gold polish, but I probably have dupes in my collection. I like all types of gold for polishes so I have quite a few! 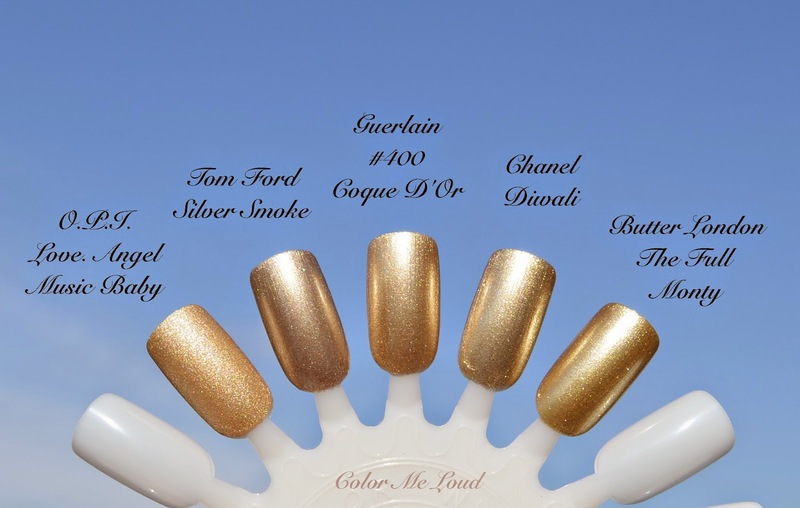 Chanel's Delight is one of my favorite polishes, Coque d'Or looks really beautiful ... And there ´s no Guerlain polish in my bathroom for now... Time to make a place for Coque d'Or ! You won't be disappointed with Guerlain nail polishes, they have really good quality and a good brush. Oh, Sara, as if this isn't hard enough to resist to begn with... You just had to bring out some gorgeous swatches. I think the only pieces missing from my collection now are Cygne Blanc, Rouge Parade lipstick and these two pieces. And that nailpolish is a pretty shade of gold! I am undecided about Cygne Blanc. I have the palette and don't know if I should invest in another duo. I haven't used the duos I have from last fall all that much. But that intense purple, it is so pretty! That lip gloss is so shine, I like it very much. 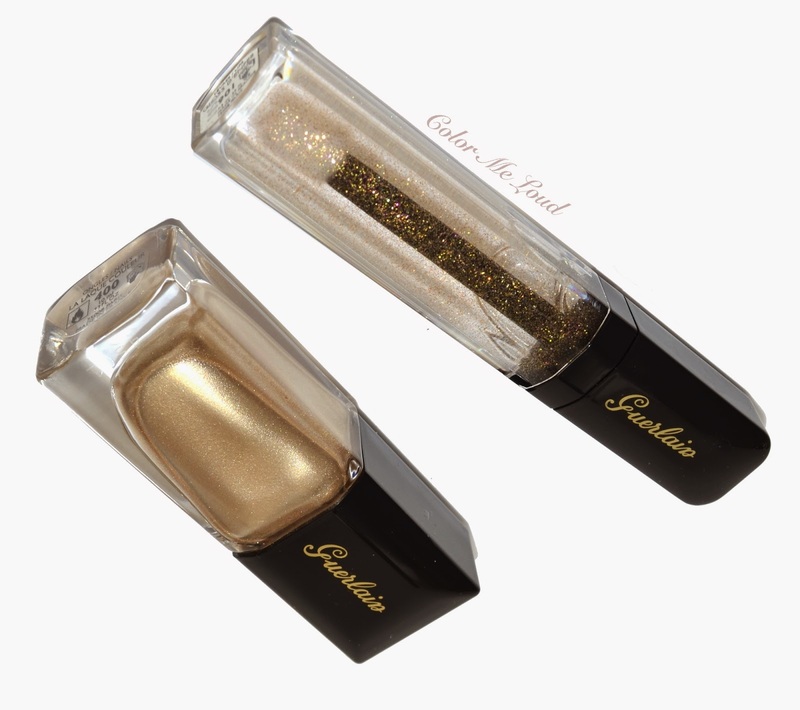 I finally visited the Guerlain counter today and had trouble deciding whether to get any of the polishes... then I saw you post, and I was like Hells Yeah I need that gold polish! Yes it is so lovely! I love cooler golds too. WHOA! This reminds me of a golden version of Chanel Graphite (which I absolutely love!!!) :) TEMPTING! !